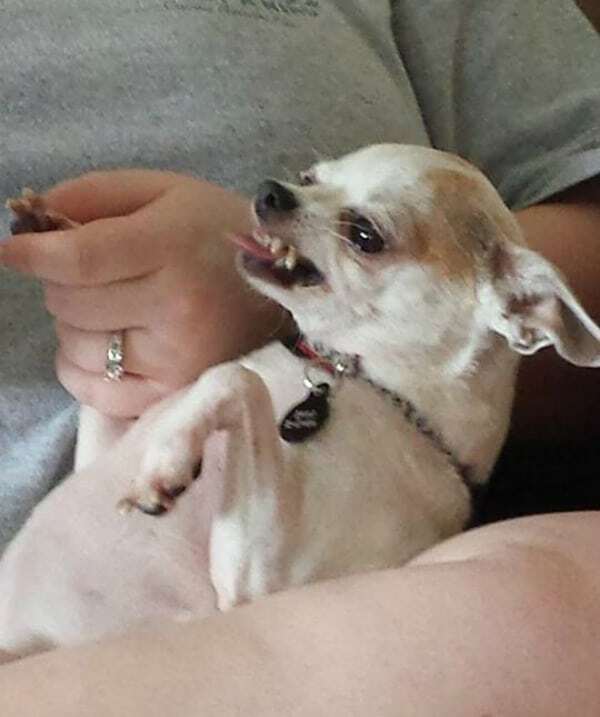 Nail trimming – it’s a chore that many Chihuahua owners approach with anxiety or even downright dread. Although many dog owners would like to skip it altogether, trimming your Chi’s nails is actually essential for their health! Long nails are not only uncomfortable, but they also cause your dog to walk abnormally, which can lead to changes in their posture, causing muscle strain and arthritis over the long run. I sympathize with your worries, though, especially if you have one of those dogs that throws a tantrum as soon as the clippers come out. The good news is that it doesn’t have to be that hard, and most dogs’ fear of those scary clippers can eventually be overcome with positive training and practice. 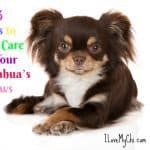 Here’s a look at how you can give your Chi the perfect pedicure, as well as how to help those dogs who just aren’t happy about the whole idea. To start with, before you ever pick up a pair of nail trimmers, you need to teach your dog to enjoy having his paws handled – or at least that handling isn’t something to be afraid of. 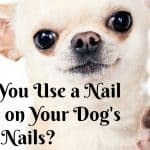 This is important for all dogs, but especially for Chihuahuas that already have issues surrounding nail trimming! No matter what your dog’s age, start with daily, short sessions of gentle touching, going at your dog’s own pace. Gently run your hands over your dog’s body, head and legs. Pick up their paws if they’ll let you; you might need to gradually work up to this point over a few weeks with really fearful dogs, though. Finally, the important part of this new activity; pair this handling with a jackpot of rewards for your pup, using whatever he goes most bonkers for. This could be super-tasty treats, petting, a game of toss the squeaky toy…you get the idea! 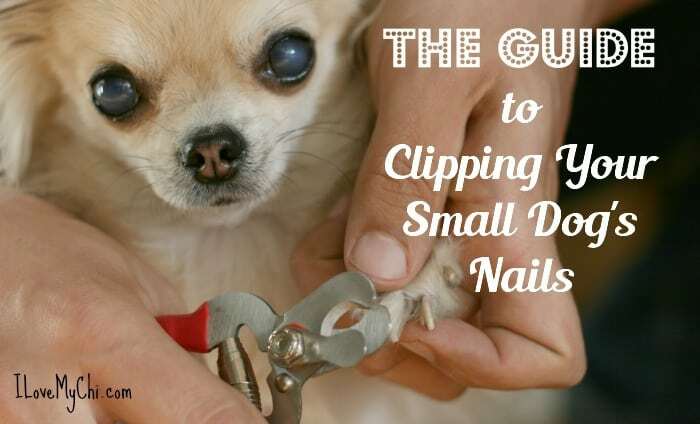 Once your pint-sized pup starts looking forward to these sessions and tolerates you touching their paws (which can take weeks or even months for very nervous dogs), you can bring out the nail trimmers. Make a positive association with them by rewarding your furry friend for checking them out! You can also start ‘practice’ nail trimming sessions at this point; holding your Chi on your lap, lift their paws and pretend to cut their nails. Praise and reward them. Repeat this new ‘game’ over several sessions (and do this a few times a day for the next week or two). A quick hint – if they’re still freaking out at this stage, you need to take a few steps back and move more slowly through the training process! 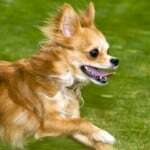 It’s also a good idea to make sure your Chihuahua is well-exercised and relaxed before a nail trim too – why make your job harder by trying to work with a hyperactive pup? With your dog on your lap or on a raised, non-slip surface, firmly hold their paw and clip in small increments from the tips of their nails in, cutting at a 45 degree angle to the floor. Looking at the bottom of the nail as you cut, trim until you see a lighter center spot, then stop and move on to the next one. This helps to avoid cutting the quick (blood vessel) in the nail – that hurts! Don’t worry if you only manage to trim one or two nails at a time, however – you can always give your furry friend a break and trim more nails later. Another alternative solution for clipper-phobic pups is a dremel tool, (this one is quieter than some of the others) which can be less traumatic than nail trimming for extremely scared and nervous Chis, as long as they’re accustomed to the noise. There are nail grinder that make less noise too. You can read about our experience with one here: Should You Use a Nail Grinder on Your Dog’s Nails? This video gives very similar advice to what I just gave except they managed to change this dog’s attitude toward nail clipping in just 4 minutes! It really helps to have 2 people to do this and hopefully the dog is hungry or food motivated. One of my dogs doesn’t care much about food so this wouldn’t work for her (unless she was really hungry). Anyway, it’s well worth watching and let us know if you try it and how it works out for you. If you do happen to cut a nail too short, remember to stay calm; it’s not the end of the world, though you may feel awful about it. 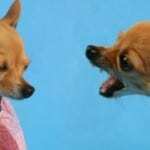 Chihuahuas are pretty perceptive pups, and they’ll easily pick up on our own emotions and mirror them, which could make an already nervous dog even more difficult to handle. Use styptic powder to stop the bleeding, (corn starch will work in a pinch) and continue your nail trim after a few minutes if your dog is okay. That’s it! You’ve joined the ranks of owners who have learned an important pet care skill. With time, practice and patience, even the most reluctant dogs and owners can become pet pedicure pros together – definitely something to howl about! 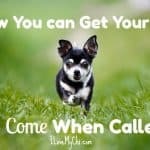 Now if you do try all of this and consistently work at it over time, but you just can’t get your dog to stop going ballistic when getting a nail trim, then you have a few options. You can get your vet to do it or take them to a groomer. Most groomers charge under $10 for this so it may well be worth it to not have to deal with it yourself. Or you can muddle through it yourself, knowing it’s going to be difficult for you and your dog. Get someone to help you hold your dog while you do the clipping. Stabilize the dog’s head by having them hold their arm up over the side of the head. They may need to put a towel over your dog’s head to minimize getting bit. This won’t hurt your dog but can be traumatic so only use this method as a last resort. So how often should you trim your dog’s nails? It’s different for each dog but when you notice the nails are clicking the floor, it’s probably time. What has worked for you? Do you have any tips for cutting your dog’s nails? Please do tell in the comments! Oh my goodness trimming my chi’s nails was traumatic for both me and him. So I prompt him on his bottom leaning against my legs so he was relaxing. I gave him a treat one that he would have to chew for a bit then I use a dremel. But with that we had our good days and bad lol. Treats are great distractions Kelly! Thanks for sharing. I think it helps if you start them young and do it often to get them used to it. I have desensitized Jacqui and conditioned her like your video with the aggressive dog. And massage her feet nightly with her laying in my lap. So when it’s time to trim her nails she lays in my lap and I put small smidgen of peanut butter on my pinky finger while I trim. And yes sometimes it takes two days if she’s not in the mood to do them all at once. I trim them every two weeks. Good advice with the peanut butter. Does it make it harder to trim them with it on your pinky? No it does not, she is laying in my lap and I trim with scissor type. Oops, I should clarify, she is laying in my lap on her back with her head at my knees like for Tummy rubs. I use my left thumb to press the middle of her paw which spreads her nails apart easier to see. Trimming with the scissor clippers in my right hand and the peanut butter on my right pinky. I cut from the bottom up as I heard that is better for the nails. I bought the scissors clippers for birds, because they felt better in my hand. Yeah, that makes it clearer. I haven’t tried the scissor clippers before. I also handled my chi’s paws when a pup. I have no problem actually clipping his nails apart from his tiny dew claws. I tend to use a human nail file and file them down. Also I find with clippers, again esp doing the dews claws ( if I can get at them), that the nail ends up longer on one side, hence the file. I have to file as if he has an itch he catches the nail on this ling coat and ends up squealing. So my Caspar literally always has a manicure/pedicure. He lies back, closes his eyes and accepts his fate. Lol. Yeah it really helps if you start when they are puppies. I have a rescue chi who panics and tries to get away when I clip his nails. I eventually found that wrapping him in a towel like a burrito and only releasing the paw I am trimming works wonders. and the tight wrapping reassures him like a thunder shirt would. It has saved my arms from the scratching they used to get. That’s a great idea Mike. That’s actually how I trim my sugar gliders’ nails (though I use a washcloth, not a towel).